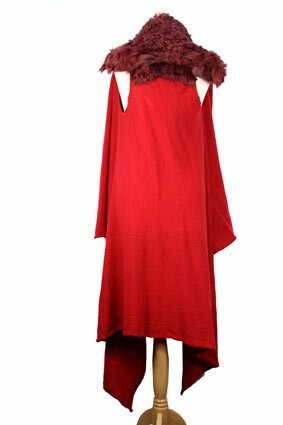 Rundholz Mainline Collection extra long, knitted shawl/scarf with armholes and fur over the collar in aperol colour. Leather ties down front. Stunning piece that can be worn in many ways. Rolled edges. A truly beautiful piece of luxury clothing a complete indulgence.